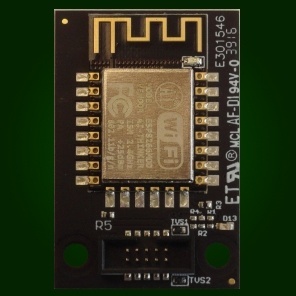 The .NET Gadgeteer WiFi Module based on the ESP8266 WiFi module. This device ships with a 2" gadgeteer data cable. The ESP12F HERO module is a .NET Gadgeteer WiFi Module based on the ESP8266 WiFi module. 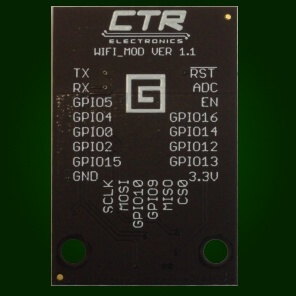 Using Wireless b/g/n, the module supports WPA and WPA2 security and has fast boot times. It communicates to HERO via UART and uses the AT Command protocol. This device ships with a 2" gadgeteer data cable.